This entry was posted by Mollie on Saturday, February 5th, 2011 at 9:07 pm	and is filed under Life & Times, Natalie, Photography. You can follow any responses to this entry through the RSS 2.0 feed. You can leave a response, or trackback from your own site. Oh wow! I should really document Eva’s hair growth sometime! It really is high maintenance to take care of long, curly hair. I feel your pain. However, I can also understand missing it when Natalie gets it cut. I am sure it will look adorable no matter the length! Love this assignment your doing! Her hair is just gorgeous!!! I was looking at pictures yesterday from our wedding…she was just a little baby! 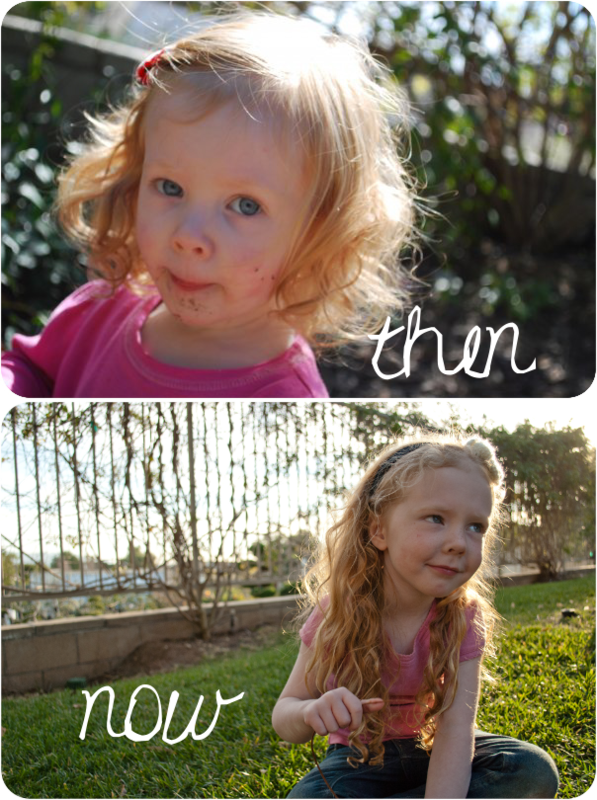 It’s so fun to watch her grow…can’t believe she’s almost four! Short curly hair is not easy either 🙂 Maybe we should just say curly hair is not easy. But it sure it pretty! !